Ocean views and breathtaking sunset view of the Santa Monica skyline from all areas of this New Construction masterpiece from award-winning architecture firm Marmol Radziner. The first floor features an open floor plan with soaring ceilings and includes separate formal living room and den, dining room, and gourmet kitchen with breakfast bar. Warm wood paneling complements concrete floors throughout. Sliding doors provide for a true indoor/outdoor lifestyle, complete with poolside entertaining. The upstairs features a large open lounge for work or play, well-sized bedroom suites for family members, and the master suite with floor-to-ceiling windows offering Santa Monica skyline and Pacific Ocean views. For ultimate relaxation, the spacious rooftop deck presents sweeping panoramic views from the mountains to the sea, plus outdoor kitchen and grill for weekend barbecuing. Constructed with the highest-quality care and craftsmanship by Marmol Radziner, this is truly a one-of-a-kind home! 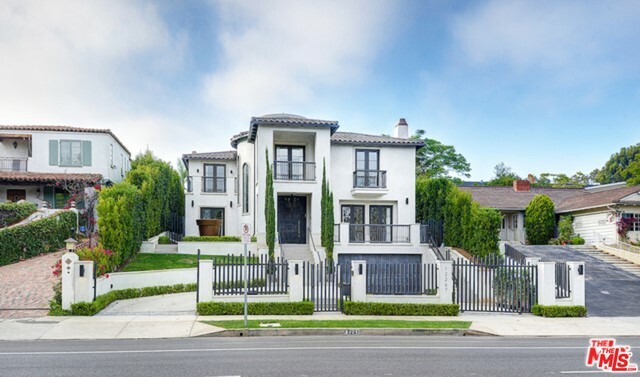 Based on information from California Regional Multiple Listing Service, Inc. as of 4/11/2019 10:37:59 AM PDT and /or other sources. All data, including all measurements and calculations of area, is obtained from various sources and has not been, and will not be, verified by broker or MLS. All information should be independently reviewed and verified for accuracy. Properties may or may not be listed by the office/agent presenting the information.